Paintings and color bring life to a house or commercial establishment. It important that a house get some serious painting services before allowing people to live in it. Aside from that, the interior life of a house is extended when it is provided with some quality painting made by skilled professionals. Edmonton interior painter from Paintsmith Decor is exactly what you need to bring some elegance and style to your home. Here are a few reasons why you should seek our services. We, at Paintsmith Decor, want to provide services that are not harmful to the environment. We have an Edmonton interior painter that helps you choose the right color that is perfect for your home. They have consultants that can suggest the right hues to fit your home space, the house lighting, but prioritize your personal style as well. Painting services made by Paintsmith Decor are exceptionally done for customers to have the utmost satisfaction. They use only the highest quality of paints: General Paint, Benjamin Moore, Cloverdale Paints and Dulux Paints. We can work on all the interior of your home without making any kind of disruption. You can hire them whether you are living in the house already or not. Edmonton interior painter will work diligently until the job is complete with the area 100% clean. Our professionals can provide painting services that will bring calmness to your baby's room using their eco-friendly paints to keep your baby away from harmful chemicals, or create creative designs to make your children's room more enjoyable and beautiful. They are the perfect team for the job because they can create stripe designs, geometric designs or murals to make any room unique and alive. You can redesign the interior of your house with their solid colors, metallic paints, or stencils. Your cabinets, shelves and Fireplace will look new with their professional workmanship. Your old wall paints are removed without hurting your walls. They will provide a fresh coat to your work area. You can trust that no damage will be done anywhere around the house. Our Edmonton interior painter can provide accurate estimates of how much will the project cost. Customers can ask for estimates over the phone so that they can make an earlier preparation for the expenses. The prices are not dependent on the area of the workplace or the hours worked by the painters. 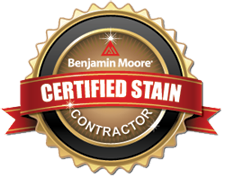 Our prices are the best and most honest amount that you can hear from a professional painting company. There would be no penny wasted with our estimation. If our painter needs more paint prior to estimation, they will discuss it with you ahead of time. You wouldn't have to worry about buying the paint yourself because we will pick up the paint with no added charges to the client. However, our painting consultant will cover for an additional expense. All the painting services that you need are provided by Edmonton interior painter. Many have worked with us, Paintsmith Decor, and highly recommend our service to future clients.